Human Resources personnel, professional recruiters and other career experts all agree: one of the best ways to prepare yourself for a job interview is to anticipate questions, develop your answers; then practice, practice, and practice. Plenty of websites offer lists of popular job interview questions, and knowing the types of questions to expect can be useful. But knowing how to answer those questions can mean the difference between getting the job and getting the reject letter. There is no way to predict every question you will be asked during a job interview. In other words, expect unexpected questions�they�ll come up no matter how much preparation you do. Treat any sample answers you find, such as in discussion forums, books or on Internet job sites, as GUIDES only. Do not use any sample answers word for word! Interviewers easily detect "canned" answers, and if they suspect you are regurgitating answers that are not your own, you can kiss that job goodbye. You must apply your own experiences, personality and style to answer the questions in your own way. This is crucial, and it will give you a winning advantage over candidates who simply recite sample answers. Job interview questions are not things to fear, they are OPPORTUNITIES TO EXCEL. They allow you to show why you are the best person for the job. Instead of dreading them, look forward to them! The key is to give better answers than anyone else, and that's where your preparation comes in. 1. Make a list of your best "selling points" for the position. What qualifications, skills, experience, knowledge, background, and personality traits do you possess that would apply to this particular job? Write them down and look for opportunities to work them into your answers. 2. Develop your own list of probable questions. In addition to any sample job interview questions you find through various resources, you absolutely must develop your own list of probable questions based specifically on the job for which you are applying. Put yourself in the hiring manager's shoes� what kinds of questions would you ask to find the best person for this job? 3. Write down your answers to likely questions. Study the job announcement carefully. (If you don't have one, get one!) Note the phrases they use when describing the desired qualifications. You'll want to target these as much as possible when developing your answers. For example, if the announcement says they want someone with "strong customer service skills," make sure you include strong customer service skills in at least one of your answers. That will make a better impression than saying "I helped customers." 4. Review and edit your answers until you feel they are just right. Read them over and over until you are comfortable that you know them well. Don't try to memorize them; don't worry about remembering every word. Practice saying them out loud. If possible, have a friend help you rehearse for the interview. Make use of this old marketing tip: "Facts tell but stories sell." During a job interview, you are selling yourself. Whenever possible, answer questions with a short story that gives specific examples of your experiences. Notice I said "short." You don't want to ramble or take up too much time; you want to be brief but still make your point. Don't you agree that Mary's answer is better? Sure, Joe answered the question, but Mary did more than that�she gave a specific example and told a quick story that will be remembered by the interviewers. In today's job market where there are dozens of highly qualified candidates for each opening, anything you do that will make you stand out and be remembered will greatly increase your odds of getting hired. While many questions asked during job interviews appear to focus on your past accomplishments, keep in mind this important tip � they may be asking about what you did in the past, but what they really want to know is what you can do NOW, for THEM. The key is to talk about your past accomplishments in a way that shows how they are relevant to the specific job for which you are interviewing. Doing advance research about the company (such as at their website or at www.hoovers.com) and the position will be extremely helpful. Here's another example with our fictitious job seekers, Joe and Mary. The interviewer asks, "What is the most difficult challenge you've faced, and how did you overcome it?" Joe answers, "In one job I was delivering pizzas and I kept getting lost. By the time I'd find the address, the pizza would be cold, the customer would be unhappy, and my boss was ready to fire me. I overcame this problem by purchasing a GPS navigation device and installing it in my car. Now I never get lost!" Mary answers, "In my current job at Stylish Hounds, management ran a special promotion to increase the number of customers who use the dog-grooming service. It was a bit too successful because we suddenly had more customers than we could handle. Management would not hire additional groomers to help with the workload. Instead of turning customers away or significantly delaying their appointments, I devised a new grooming method that was twice as fast. Then I developed a new work schedule. Both efforts maximized productivity and we were able to handle the increased workload effectively without upsetting our customers." Joe's answer shows initiative and commitment (he bought that GPS gadget with his own money, after all). But Mary's answer relates specifically to the job they are applying for (dog groomer). And Mary had done research about the company and discovered it was about to significantly expand its dog-grooming operations. So she used an example from her past that addressed an issue the interviewer was likely to apply to a future situation in his company. See the difference? Here's one more example. Joe and Mary are asked, "What's your greatest accomplishment?" Joe answers, "I won two Olympic Gold Medals during the 2000 Olympics in the high-jump competition." Mary answers, "I was named Stylish Hounds' Dog Groomer of the Year in 2003 for increasing productivity in my section by 47%." Joe's accomplishment is unquestionably spectacular. But remember the interviewer's perspective. He might be impressed, but he's thinking "What's in it for me? What does being a world-class high-jumper four years ago have to do with helping me to increase sales in my dog-grooming department?" Mary's answer is much less spectacular than Joe's, but it is relevant to the position and indicates that she has what it takes to be successful in this particular job. It tells the interviewer, "I have what you're looking for; I can help you with your specific needs." Looks like Mary has a new job! Last but not least, tell the truth. It's sometimes very tempting to "alter" the truth a bit during a job interview. For instance, say you quit instead of being fired. Besides the fact that lying is unethical, the risk of being discovered as a liar far outweighs the perceived benefits of hiding the truth. If you are thinking about telling a lie during the interview, ask yourself these questions: "What is the BEST thing that could happen? What is the WORST thing that could happen? Is the best thing WORTH RISKING the worst thing?" In this instance, the best thing would be getting the job. The worst thing would be getting discovered as a liar, which could lead to getting fired, which could lead to unemployment, which could lead to more job searching, which could lead to another interview, which could lead to the stress of deciding whether to lie about just getting fired, and so on� a cycle that can go on indefinitely. Is all that worth getting the one job, perhaps on a temporary basis? Always consider the consequences of your actions. Following is a summary of what you need to do to prepare for effective job interviews. Prepare answers to those questions that are relevant to the position and the company. Promote your best "selling points" (relevant qualifications, capabilities, experience, personality traits, etc.) by working them into your answers. 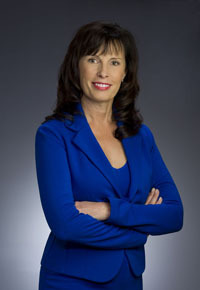 Bonnie Lowe owns http://www.best-interview-strategies.com and is author of the popular "Job Interview Success System" (available on her website). She also publishes a free ezine loaded with tips on getting hired and getting ahead.